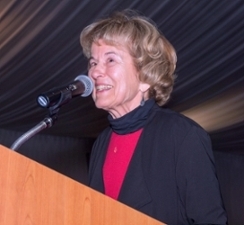 Margaret Connell-Szasz researches and writes in the following fields: American Indian and Comparative Indigenous History, with a focus on education; Cultural Intermediaries; and Modern History of Scotland, Ireland, Wales, and Native America. Recent President of the Western History Association, Dr Connell-Szasz is a student of Native American History, Comparative Native American and Celtic History, Comparative Indigenous History, and US History. A Research Fellow at the School of Divinity, History and Philosophy, University of Aberdeen, Scotland, she has taught Scottish, English and American students at universities in England and Scotland. At UNM she has advised dozens of MA and PhD students who have found positions at colleges, universities, and in public history across the US. Her publications include Scottish Highlanders and Native Americans: Indigenous Education in the Eighteenth-Century Atlantic World; Education and the American Indian: The Road to Self-Determination; Abraham Lincoln and Religion (co-authored with Ferenc Morton Szasz) and Between Indian and White Worlds: The Cultural Broker. Projects underway: “Nations on the Move: Scotland, Ireland, Wales, and Native American Nations, Post-1960 (waiting readers’ reports) and a history of the Scottish Gaelic College, Sabhal Mòr Ostaig, within the context of the international indigenous college movement. Co-editor of the series “Indigenous Education,” under the auspices of the University of Nebraska Press, she is also on the editorial boards of Montana: The Magazine of Western History, and Northern Scotland.